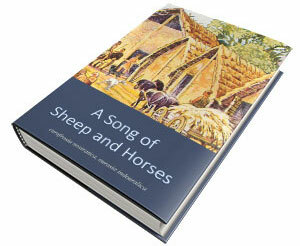 These are images from A Storm of Hordes, the fourth volume of the series A Song of Sheep and Horses. This fourth volume contains supplementary materials for the other main three volumes: the first one (A Song of Sheep and Horses) on Indo-Uralic languages, and the other two (A Game of Clans & A Clash of Chiefs) on prehistoric migrations associated with these languages. 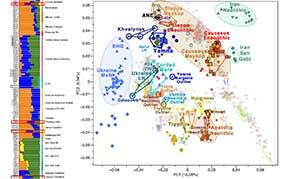 The maps are centered on European prehistory and history, and their Eurasian connections, so the borders of cultures and peoples beyond them – especially South-East Asia and Africa – are more inexact. 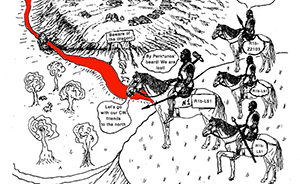 These maps were drawn to illustrate certain points in the aforementioned series of books, so they are diachronic illustrations of different cultures and peoples not exactly contemporary with each other, but often sequential in time. They are thus used to illustrate certain developments, e.g. 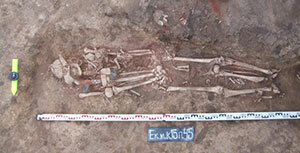 the Neolithic expansion of farming, or the Chalcolithic expansion from Yamna. 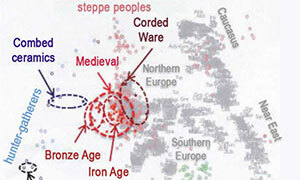 In that sense, they are not different from many maps used to illustrate cultural expansions and migrations of peoples. Please report any errors by writing an email to cquiles@academiaprisca.org, attaching a link, map, article, or book (with pages) for reference – unless it is a clear mistake -, and I will correct them as soon as possible. They have been drawn with Photoshop over Natural Earth raster images that are in the public domain. You can reuse and modify the images posted here as you see fit. If you can, please cite the corresponding book and – especially if you use these high-quality images – the specific page of this website (http://indo-european.eu/) as the source. Thank you. NOTE. While the previous license was CC-by-sa, incompatible with copyrighted works and with sites like Wikipedia, I consider these new versions ‘stable’ enough to be reused anywhere, hence the new general CC-by license and the image files without labels available for download, to allow for the most common modifications. Even the highest quality ones are smaller images than the originals, and they are compressed as JPEG. If you would like bigger and/or higher quality versions, a different content (with changes, omissions and/or additions), or different file formats (e.g. SVG), please write me at cquiles@academiaprisca.org. 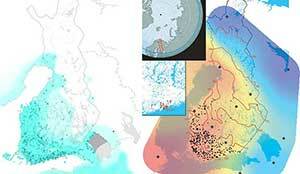 I really like to work with maps, and if the project is interesting I will probably not mind working on it. 1. Map of migrations of Anatomically Modern Humans. 2. 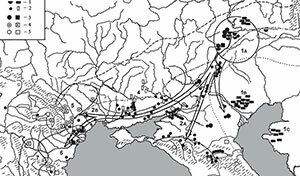 Map of Upper Palaeolithic migrations. 3. Map of Epipalaeolithic migrations. 4. Map of Early Mesolithic migrations. 5. Map of Late Mesolithic migrations. 6. Map of expansion of Neolithic and hunter-gatherer pottery. 7. Map of Early Eneolithic migrations. 8. Map of Late Eneolithic migrations. 9. Map of Early Chalcolithic migrations. 10. A. Map of Yamnaya kurgans in Hungary, and contemporary settlements of Baden-Boleráz. 10. 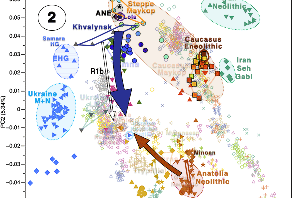 B. Map of Yamna – Bell Beaker migration. 10. 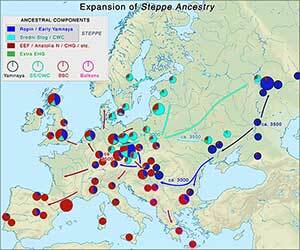 C. Map of “steppe ancestry” evolution: Yamna/Bell Beaker vs. Sredni Stog/Corded Ware. 11. Map of Late Chalcolithic migrations. 12. Map of Early Bronze Age migrations. 13. 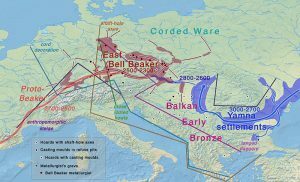 Map of Middle Bronze Age migrations. 14. Map of Late Bronze Age migrations. 15. 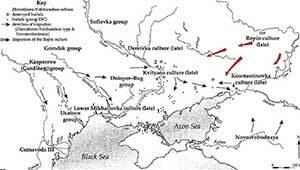 Map of Early Iron Age migrations. 16. Map of Late Iron Age migrations. 17. Map of migrations in Antiquity. 18. Map of Mediaeval migrations. 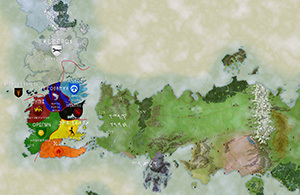 Map of Biomes: with labels, and without labels. 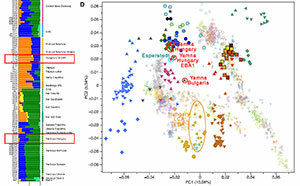 Maps with Y-DNA, mtDNA, and ADMIXTURE are added to the different map sections above (click on one to access to the different alternative versions). There are also old maps of modern Y-DNA distribution, with striped areas originally designed to be superimposed to these cultural maps.